Israeli society is having to confront another extreme-bigotry-driven murder today and the tragic burden which has landed on a young family ill-equipped to deal with its weight. Today, Monday afternoon, just outside the entrance to the Israeli city of Ariel, at about 2:30 pm, an Israeli man, standing on the sidewalk at a bus stop that also serves as a hitch-hike point, became the victim of an unprovoked stabbing attack. The knifer, a Palestinian Arab whom the security camera captures crossing the road and approaching his unsuspecting target from behind, fled the scene after plunging the knife into the victim’s chest several times. He the object of an ongoing manhunt as we write this. 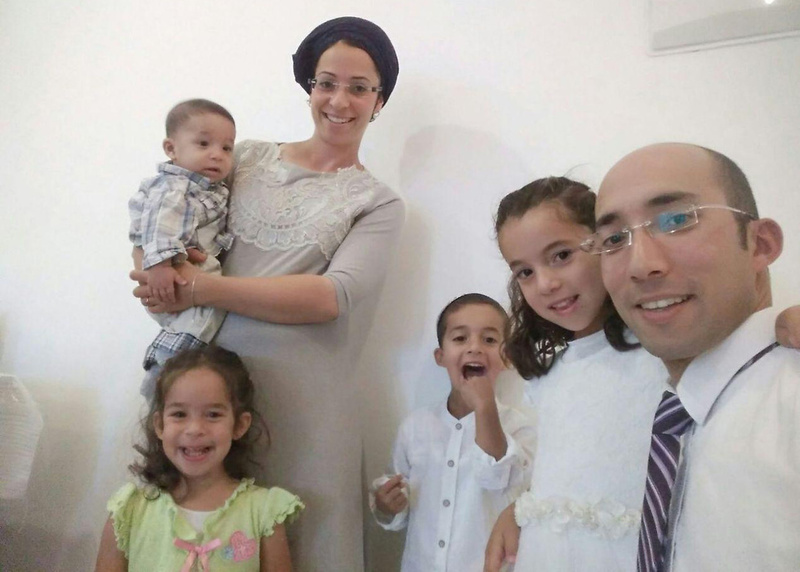 We know now that the man who came under attack is Rabbi Itamar Ben-Gal, 29, a father of four young children who settled with his wife and family in the Israeli community of Har Bracha, a short distance from where the attack took place. He was given emergency care at the scene by a Magen David Adom ambulance team and army medics. 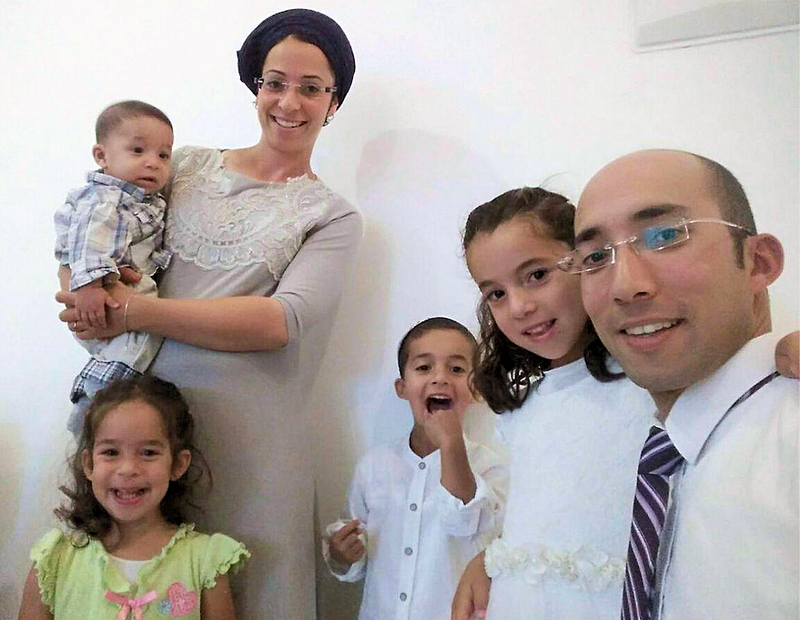 Times of Israel reported that he was taken to Beilinson Hospital in Petah Tikvah but died of his wounds. He will be buried in Har Bracha tomorrow (Tuesday) morning. Israel National News says Rav Ben Gal was an educator who worked with 8th graders at the Bnei Akiva Yeshiva in Givat Shmuel, a Tel Aviv suburban community, and taught as well in the Har Bracha Yeshiva. The terrorist, investigators found, is 19-year old Israeli-Arab resident of Jaffa Abed al-Karim Adel Assi, a son of an Israeli mother and Palestinian father from Nablus… Despite being hit [by an Israeli motorist] al-Karim was able to escape with the help of an unidentified driver who picked him up near the scene of the incident. IDF forces are currently spreading out in the region in an effort to locate him. The terrorist’s backpack was found on the scene containing a change of clothes and his Israeli ID card. The bag also contained a comb, hair gel, a lighter and a charger… Large concentrations of IDF forces entered the village of Kifl Haris, according to Palestinian reports, in their search of the terrorist. Kifl Haris is a Palestinian Arab village which, according to some Jewish traditions, is the site of the graves of the Biblical figures Joshua, Caleb and Joshua’s father Nun. According to Ynet, the Islamist terrorists of Hamas issued a message from Gaza welcoming today’s murder and asserting that it “is proof that the Al-Quds intifada continues”. We expect to be updating this report later tonight.